This guide gives you the essential information you will need for driving in New Zealand as an international student. Travelling and seeing New Zealand is much easier with a car, therefore you may want to drive. Remember also to check with your student counsellor for additional information about living in New Zealand. 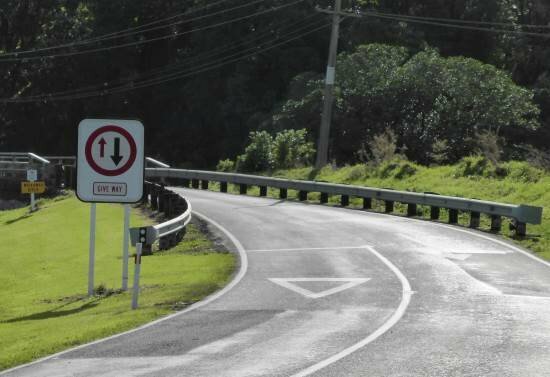 Can you drive in New Zealand with your home country’s driver’s licence or driver’s permit? You can drive for up to 12 months on your current, full, valid driver’s licence after each time you enter New Zealand as long as you haven’t received a suspension or disqualification and you have not been granted a New Zealand driver’s licence. If your licence is not in English you must get an accurate translation done or use an international driving permit. 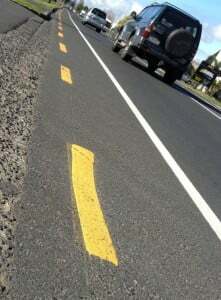 You must know the road rules in New Zealand before driving. Click on Tourist Quiz to take a free 66-question quiz in English, Chinese, German, Spanish or French that will help you learn the essential rules. If you want to drive a car and you don’t have a driver’s licence you must start with the theory test – practise the car theory test here. If you want to drive a motorbike, scooter or moped and you don’t have a licence you will need to take the basic handling skills test and then do the theory test – practise the motorbike theory test here. For both car and motorbike, passing the theory test means that you will be issued a learner licence. You cannot drive a car alone on a learner licence; you must have a supervisor with you that has held a full New Zealand licence at least 2 years. We recommend getting a driving instructor to help you learn safe driving. Once you have your learner licence you will need to pass a practical test to get a restricted licence and then another practical test to get a full licence. As New Zealand has reciprocal agreements with many countries, it can be cheaper for you to obtain your full driver’s licence here and then swap to a licence of your home country when you return. Note that you cannot drive a car with a motorbike license and vice versa. If you are here more than 12 months, you can convert your overseas licence to a New Zealand one by filling in form DL5 and taking it to a driver licensing agent. Depending on your home country, you may have to take a theory and practical test before you can get a New Zealand licence. We drive on the left and you must keep your licence with you at all times when driving. All passengers must wear a seat belt where one is fitted, and children 7 years old and under must be restrained in an approved child seat. All motorbike riders and pillion passengers must wear a helmet and it is recommended that you wear safety equipment such as a proper motorcycle jacket, boots and gloves. Speed limits are marked in kilometres per hour and distances are marked in kilometres. If you get caught exceeding the speed limit by more than 10kph then you will be fined and may have demerit points added to your licence. This tolerance usually drops to 4kph during holidays. 50kph: Default urban limit. If there are no speed limit signs in a built-up area, this is the limit. If you are under 20 years old, the blood alcohol limit is zero. If you are 20 or over the blood alcohol limit is 250mcg/litre of breath, or 0.05%. It is always illegal to drive under the influence of drugs, including medications for illnesses such as colds, flu, etc. It is illegal to use a hand-held mobile phone to make or receive a phone call while driving. It’s also illegal to access any services (sending or reading an SMS, accessing the internet, etc) unless it is a navigation system and the phone is attached to a cradle. If you are purchasing a vehicle make sure that you have somewhere to park it at night. If you are living in the city centre there is unlikely to be on-street parking and you may have to rent a space in a parking building. These range from $50-90/wk in Auckland or Wellington. Check with your campus whether they provide parking for students, or whether it will be possible to park in the surrounding streets. Areas where parking is controlled have blue signs with a white number and often a supplementary plate underneath describing whether it is limited to certain types of vehicles or is only in operation at certain times. These include loading zones. You are not allowed to park in a bus stop or taxi stand, and if the parking is designated motorbikes only, you must not park a car there. Be cautious in places which have paid parking as the times of operation vary from suburb to suburb. Always check the machine. 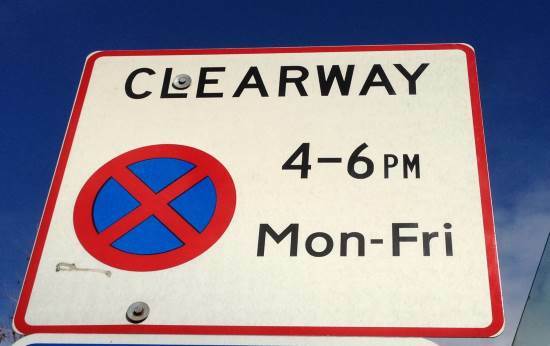 A clearway is a stretch of road that you are not allowed to park on during certain times. You will be towed away if you park there. If you see dashed yellow lines next to the kerb you are not allowed to park there at all. In general when you are turning right from a through road into a side road you will give way to traffic coming straight towards you that is turning left or also passing through the intersection. 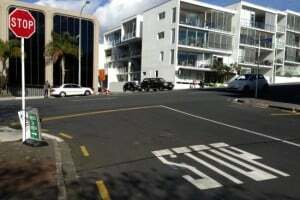 If you are turning from a T-intersection (T-junction) then you must give way to all traffic on the top of the T. See this article for a full explanation of different scenarios. Some intersections have green filter lights (arrows) that allow you to turn left or right when the main light is red. Drive around roundabouts clockwise and give way to your right. As you approach the roundabout, indicate your final direction (left for turning left, no indication for passing straight through, and right for turning right). Indicate off the roundabout, i.e. indicate left just after the exit before the one you want to take, and then take the exit. If the roundabout has lanes you must remain in the correct lane as you exit the roundabout or you risk cutting other drivers off. A red traffic light means stop. You must not drive through a red traffic light – there is no free turn. You must also stop at a stop sign. There are fines for not doing so. A stop sign will be accompanied by a yellow stop line on the road and it is compulsory to stop to check the way is clear before you proceed. You might also see a stop sign at a railway level crossing. Half of New Zealand’s crossings are not controlled by lights or barrier arms so it is important that you double-check no train is coming before you cross. One-lane bridges are bridges with only enough room for one vehicle to pass. The bridges have a priority direction, indicated by a large white arrow pointing upwards on the sign, and a direction that must give way to other traffic, indicated by a small red arrow pointing upwards on the sign. You may find sheep and cattle being moved along the road in many places in New Zealand. Stop your car, then follow the directions of the farmer. Rural roads can be narrow, winding and slippery. You can come across gravel and mud on the road, and large vehicles coming towards you, therefore take it easy. You can purchase vehicles from a licensed motor vehicle dealer or you can buy privately via a website such as Trade Me or at car fairs. Before you purchase any vehicle privately, check its history with a service like Checka to make sure it is not stolen, and doesn’t have any outstanding debts registered against it. It’s advisable to get a mechanical check. If the warrant of fitness is due to be renewed soon, check the likelihood you will need to spend money fixing any issues. It is not compulsory to have insurance in New Zealand but it is highly recommended as even a small accident can cost thousands of dollars to repair. A minimum of third-party, fire and theft will give you some protection. Check that you can afford the car once you have factored in fuel, registration, Warrant of Fitness and maintenance. Don’t over-extend yourself with finance. Car crime is common in many places in New Zealand, especially in remote car parks in scenic locations. Never leave anything visible in your car. Lock it and alarm it before you go. Try to park in areas that are lit if you are parking at night. If you are involved in an accident park your car safely if possible. Check for injuries and help with those first. Don’t admit liability for the accident. Exchange your details with the other driver(s) – name, address, telephone, car registration number (licence plate/number plate), the make and model of car and the name of their insurance company. It is best to look at their driver’s licence to make sure you have the details down correctly. You must report the accident at a police station within 24 hours if there was an injury. Read more about your obligations here. Renting a car can be convenient if you only need a car periodically. Most companies require you to be at least 21 years old and have held a licence for at least 3 years. However, there are some companies that will rent to drivers aged as young as 18. Expect a high insurance excess or a higher rental fee if you are under 21. Check that you know the essential road rules by trying this quick quiz. Bookmark https://www.drivingtests.co.nz in your phone or computer for easy access. If you run an educational institute, school, college or university and want to reproduce this page’s content on your website, you may do so on the condition that it is reproduced in its entirety (except this notification paragraph), and that all links remain. The text does not need the images to support it, but if you want to use the images, right click and save them and upload them to your own website rather than hotlinking to the images on this page.